Erik Skoglund (26-0, 12 KOs) has invited countryman Zlatan Ibrahimovic to be ringside for his World Boxing Super Series quarter-final clash with Callum Smith (22-0, 17 KOs) on Saturday night at the Echo Arena in Liverpool. Ibrahimovic, one of football’s most colourful characters, took the English Premier League by storm last season, scoring 17 goals in 28 appearances and proving monumental in Manchester United’s successful Europa League and League Cup campaigns. 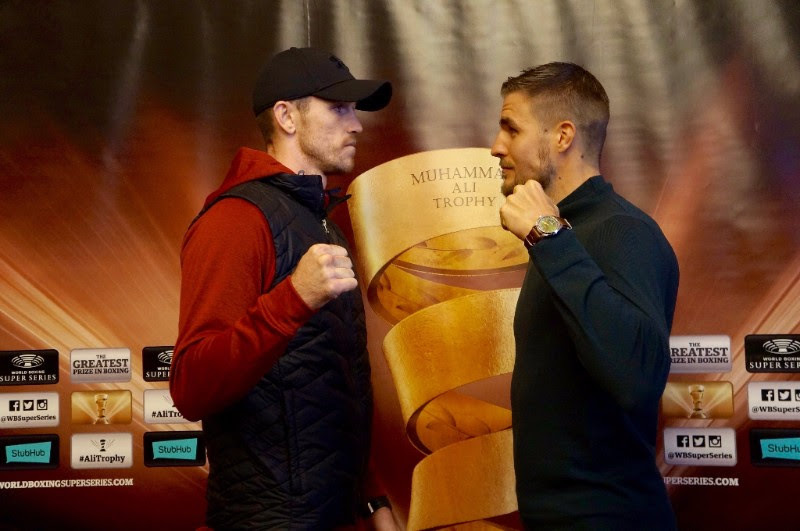 Skoglund hopes to enjoy similar success in England on Saturday when he faces Liverpool’s undefeated hometown hero Smith for the WBC World Diamond title and a place in the World Boxing Super Series semi-final. ‘’I’m looking forward to fighting in Liverpool,’’ he said. ‘’I’ve been fighting a lot lately in my hometown with all the pressure and expectations that come with that. In this fight, I’m the away fighter so all the pressure lies with Callum Smith and I can just concentrate on the fight and enjoy the evening.